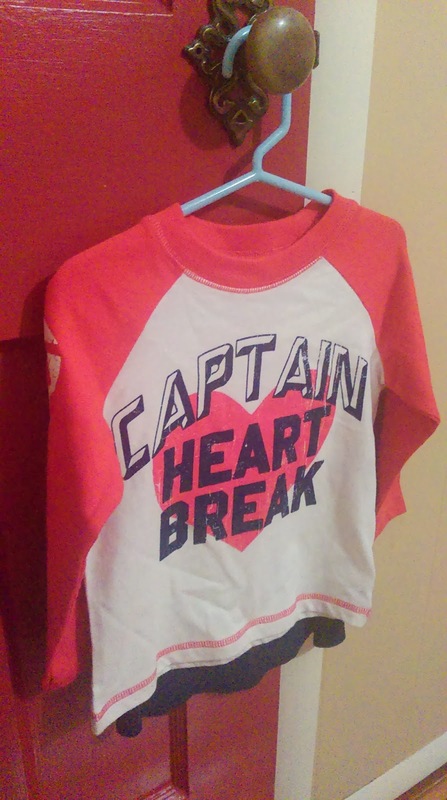 "I shouldn't send our foster friends that shirt, even though they need clothes this size." "What should I wear to court/permanency conference/parent visit..."
So, put yourself in my shoes for a moment. I am a generally successful human being who is adequately caring for the children of a young woman who has less than nothing going for her in life and cannot adequately care for said children. I encounter her regularly via parent visits, meetings at CPS and court hearings. Oh what to wear on such days? I don't want to intentionally dial down my own style or try to hide that I am a put together lady but I also maybe don't want to show up to court wearing a power pencil skirt and shiny stilettos when she apparently didn't read the sign that says no jeans in court. On such days, I would put myself in her shoes, perhaps unfairly. I would convince myself that she had this inner monologue going on the whole time we were in sight of each other and she was hating my heels and my slacks and my blouses and my cute red Volvo because they all represent a level of comfort and success that I have and she doesn't. And I have her kids and she doesn't. So on parent visit days, yes, I'd intentionally opt for an outfit on the more casual side of business casual. The day of the permanency conference last summer, after much thought and stressing, I opted for a wholesome khaki skirt, a nice cotton blue blouse and some sensible brown shoes. Court I didn't stress about too much. My heels and nice clothes showed up there because you are supposed to dress nice for court. "I shouldn't put that cute sign in our kids' room." I ended up with this little sign after Trent's big family Christmas gift exchange two years ago, right before we got licensed as foster parents. One of his aunts said "You could put that in your future kids' room!" It is indeed a cute sign and it does indeed live in our house, but not in either of our kids' rooms. Count your blessings? Let's see, you couldn't live with your mom and had to come here to this cute room that she never could have provided for you, and live with people that swooped in and caught you when your little life was tumbling out of control. So yes, count your blessings, AKA us, Trent and Anna, and this cute room and this nice crib and all these clothes and all this stuff you wouldn't have had otherwise. No. I hope you sense the sarcasm. We're providing what we can and do not need a thank you or some reminder in our kid's room that they better be grateful because where they came from was a whole lot crappier. 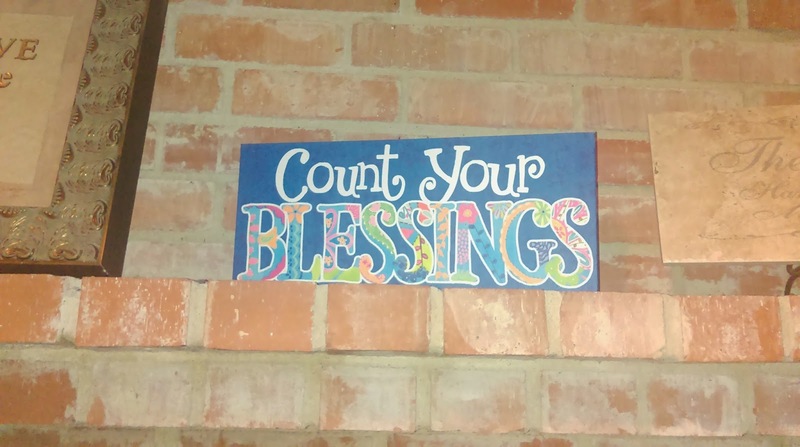 Everyone should count their blessings and I like this cute little sign. But it can live in our den just fine. "How can I answer the 'do you have kids' question without suddenly becoming the center of attention?" Aw, how old are they? Two and a half and one and a half. Oh....wow....that's...really close together/Y'all were in a hurry/So you basically had twins the hard way/Holy cow/Oh man/My sister and I are a year apart and we survived/How'd that happen? Here is the point where I would rather just have a nice conversation about my cute children but feel obligated to explain that we did not in fact give birth to them actually, that we got them at the same time already that close in age, that we are in fact sane and do in fact know "how that happens". Sigh. Enter the "Well we're foster parents..." explanation, which is never short and is always followed by either the Y'all Are So Amazing I Could Never Do That speech or the How Exactly Does All That Work question, to which I want to reply "Do you have about three hours for me to explain it all to you?" While I want to bring as much awareness as I can to foster care and the need there, I don't like being the center of attention. I especially don't like inadvertently hijacking conversations that should, at the time, be focused on something other than me. Does HGTV Make You Hate Your House?